How Homeowners Can Effectively Determine Various Forms of Fraud in their Mortgage Loan With Defective mortgage documents. A) Why Titles of Home Foreclosure Sale To Buyers Are Often Defective. How Can We Deal With the Problem? • And all these assignments must be recorded! J) Who Holds the Bearer Paper and Mortgages for the Trust? K) What Does Trust Really Hold? M) What Do the Outsource Providers Do for the Servicers? • Draft default correspondence, reports, etc. P) What About the Mortgages? Q) How Does Trust Establish Lawful Ownership? R) But What Is Filed In a Typical Foreclosure? T) Is the Trust Really Secured? THIS DECISION WAS A GREAT WIN TO HOMEOWNERS! ruled against U.S. Bancorp and Wells Fargo & Co. in their appeal of a Massachusetts Land Court decision in March 2009 invalidating their foreclosure sales because both banks had failed to make the requisite showing that they were the mortgage holders at the time of the foreclosures. The case made headlines across the country, but turned on the prosaic notion that only the mortgage holder can foreclose on a mortgage. Documentation provided by the banks in their efforts to prove that they were the present assignees of the mortgages at the time of the notice of foreclosure and subsequent foreclosure sale failed to convince the court that the proper party had initiated the foreclosure. 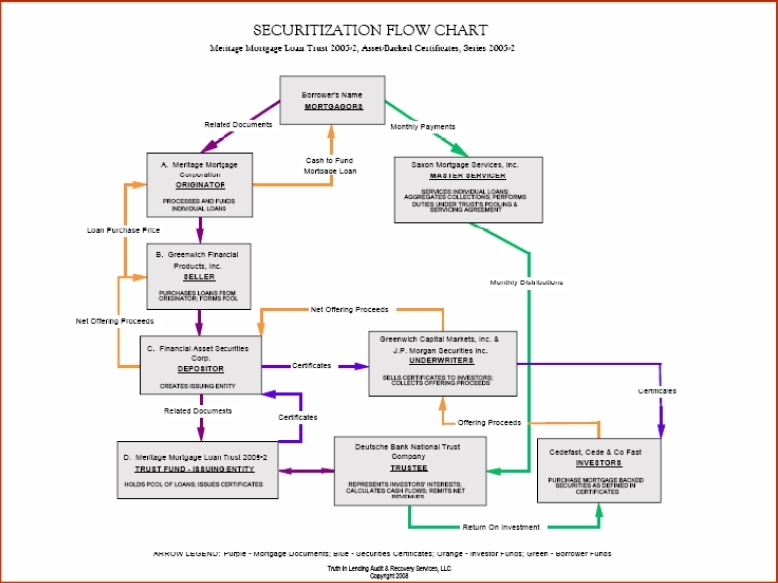 Because Massachusetts does not require a mortgage holder to obtain judicial authorization to foreclose on Massachusetts property, the decision in U.S. Bank National Association v. Ibanez serves as a forewarning to banks that foreclosures will only be upheld as valid by a showing of strict compliance with the statutory power of sale requirements, that is, that they were the mortgage holder at the time of notice of foreclosure and execution of the foreclosure sale. Copycat litigation has followed in Massachusetts and elsewhere, but the ramifications of Ibanez could be broader than just an increase in courtroom activity. Legislatures will wrestle with the possibility of increased regulations, and prosecutors will likely scour the files for possible illegal activity concerning the dates of mortgage transfers. In July 2007, U.S. Bank NA and Wells Fargo Bank NA, as trustees of two securitization trusts, foreclosed on the mortgages of the respective properties and purchased the properties at the foreclosure sale. In September and October 2008, U.S. Bank and Wells Fargo brought actions separately in the Massachusetts Land Court seeking among other things, a declaration that title to the two properties was vested in them. The Land Court heard the two actions together and ruled that the foreclosure sales were invalid because the banks acquired the mortgages by assignment only after the foreclosure sales and therefore had no interest in the mortgages being foreclosed at the time of the publication of the notices of sale or the foreclosure sales. At issue was whether the banks had shown sufficient documentation that they were in fact the mortgage holders at the time of the sales pursuant to a valid chain of assignments. In U.S. Bank’s case, the original lender was Rose Mortgage Inc., which assigned the mortgage in blank. At some point the blank space was stamped with Option One Mortgage Corp. as assignee, and was recorded on June 7, 2006. On Jan. 23, 2006, before recording, Option One executed an assignment in blank. 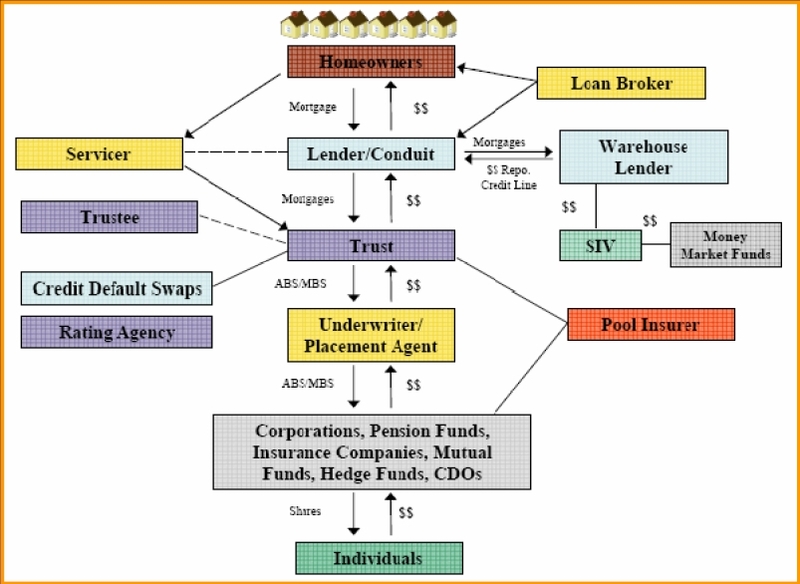 U.S. Bank claimed that Option One assigned the mortgage to Lehman Brothers Bank FSB, which assigned it to Lehman Brothers Holdings Inc., which assigned it to the Structured Asset Securities Corp., which then assigned the mortgage, pooled with over 1,000 other loans, to U.S. Bank, as trustee, on or around Dec. 1, 2006. U.S. Bank filed for foreclosure on April 17, 2007, and purchased the property at the foreclosure sale on July 5, 2007. On Sept. 2, 2008, American Home Mortgage Servicing Inc., as successor in interest to Option One, the record holder of the mortgage, executed a written assignment of the mortgage to U.S.Bank, as trustee, which was then recorded on Sept. 11, 2008. In the Land Court proceeding, however, U.S. Bank failed to put in the record the trust agreement, which it claimed constituted the assignment of the mortgage. U.S. Bank did offer the private placement memorandum, an unsigned offer of mortgage-backed securities to potential investors, which included the representation that mortgages “will be” assigned to the trust. The memorandum also stated that each mortgage would be identified in a schedule attached to the trust agreement. U.S. Bank also did not provide any such schedule identifying the particular loan as among the mortgages assigned to the trust. In Wells Fargo’s case, the original lender was Option One, which executed an assignment of the mortgage in blank on May 25, 2005. Option One later assigned the mortgage to Bank of America Corp. in a flow sale and servicing agreement, which then assigned it to Asset Backed Funding Corp., which assigned it, pooled with others, to Wells Fargo, as trustee, pursuant to a pooling and servicing agreement. On July 5, 2007, the day Wells Fargo purchased the property, Option One, the record mortgage holder, executed an assignment of the mortgage to Wells Fargo as trustee, which was recorded on May 12, 2008, but had an effective date of April 18, 2007. In the Land Court proceeding, Wells Fargo did not provide the flow sale and servicing agreement reflecting the assignment by Option One to Bank of America. Wells Fargo did produce an unexecuted copy of the mortgage loan purchase agreement, which made reference to a schedule listing the assigned mortgages, but failed to provide a schedule showing that the mortgage was among those assigned to Asset Backed Funding Corporation. Wells Fargo also provided a copy of the pooling and servicing agreement, but this copy was only downloaded from the U.S.Securities and Exchange Commission website, was unsigned and did not contain the loan schedules referenced in the agreement. Wells Fargo produced a schedule that it represented identified the mortgage by the property’s ZIP code and city because the payment history and loan amount matched the loan at issue. In Massachusetts, a mortgagee must strictly comply with the statutory power of sale by proving its authority to foreclose and complying with the notice requirement. Only a present holder of the mortgage is authorized to foreclose on the mortgaged property. As highlighted by the SJC in this case, the statutory power is also limited to those who are holders of mortgages pursuant to valid, verifiable assignments at the time of the notice of sale and the subsequent foreclosure sale. U.S. Bank and Wells Fargo failed to prove that they were. The court rendered U.S. Bank’s foreclosure invalid for several reasons: 1) It failed to produce the document,the trust agreement, which it claimed assigned the mortgage to it; 2) the private placement memorandum described the trust agreement as having only an intent to assign mortgages to U.S. Bank in the future, not as an actual assignment; 3) U.S. Bank did not produce the schedule of loans mortgages that was supposedly attached to the agreement, so it failed to show that the mortgage at issue was among those assigned by that agreement; and 4) U.S. Bank failed to produce any evidence that the assigning party, Structured Asset Securities Corp., ever held the mortgage to be assigned. The court determined that Option One, not U.S. Bank, was the mortgage holder at the time of the foreclosure. Similarly, the court rendered Wells Fargo’s foreclosure invalid because: 1) While the pooling and servicing agreement reflected a present assignment, the mortgage loan schedule provided by Wells Fargo failed to identify with specificity the mortgage at issue as one of the mortgages assigned; and 2) Wells Fargo did not provide any documentation showing that Asset Backed Funding Corporation held the mortgage that it was purportedly assigning under the pooling and servicing agreement. Because Wells Fargo failed to submit anything demonstrating that the mortgage was ever assigned by Option One to another entity before the notice and sale, the court found that Option One was the mortgage holder. The SJC provided insight into the documentation it believes is required to support a valid foreclosure in the case of assignments and securitization trusts. Whether pending and future legislation or regulations change how the court views these matters remains to be seen. * An assignment does not have to be in recordable form at the time of the notice of sale or the foreclosure sale, though it may be the better practice. An executed agreement that assigns a pool of mortgages along with the schedule that “clearly and specifically” identifies the mortgage at issue may suffice to establish the trustee as mortgage holder. * A bank must provide proof that the assignment was made by a party that validly held the mortgage. This can be accomplished by providing a chain of assignment linking the bank to the record holder or a single assignment from the record holder of the mortgage. * An assignment in blank does not constitute a lawful assignment of a mortgage. * An assignment of a note without an assignment of the underlying mortgage does carry with it an assignment of the mortgage, and therefore does not give the holder of the note sufficient financial interest in the mortgage to permit it to foreclose. * A mortgage holder may not be permitted to rely on Title Standard No. 58 issued by the Real Estate Bar Association for Massachusetts for the proposition that an entity that does not hold a mortgage may foreclose on a property and later cure the cloud on title by a later assignment of a mortgage. However, an assignment that is confirmatory of an earlier, valid assignment made prior to publication of notice and execution of sale may be executed and recorded after the foreclosure without defecting title. A confirmatory assignment cannot confirm an assignment that was not validly made earlier, or backdate an assignment being made for the first time. * A post foreclosure assignment may not be treated as a pre-foreclosure assignment by declaring an “effective date” that precedes the notice of sale and foreclosure. Because the court found that it was not creating new law, but rather applying tried and true standards, it made its decision retroactive. In his decision, Judge Gants stated, “The legal principles and requirements we set forth are well established in our case law and our statutes. All that has changed is the plaintiffs’ apparent failure to abide by those principles and requirements in the rush to sell mortgage-backed securities.” Thus it is likely that homeowners will seek recovery for homes that were wrongfully foreclosed upon. But beyond that, questions arise. For example, Massachusetts is not a state that requires judicial approval of foreclosures, whereas about 23 states already require some sort of judicial authorization or judicial intervention in the foreclosure process. Would the facts in Ibanez have allowed a foreclosure to progress as far as it did in a state that required judicial foreclosure? Should there be more regulations around the foreclosure process? The Ibanez court didn’t seem to think so, as it found the existing rules to be relatively straightforward and capable of controlling the situation. Even so, lawmakers in Massachusetts wasted little time in introducing legislation that appeared to be reactionary to the Ibanez decision. Massachusetts Attorney General Martha Coakley drafted legislation that would reportedly establish standards to ensure that creditors undertake “commercially reasonable efforts to avoid unnecessary foreclosures” and would also codify Ibanez by requiring a creditor to show it is the current mortgage holder before foreclosing and require creditors to record their assignments before commencing foreclosure proceedings. A violation of this legislation as introduced would constitute a violation of the Massachusetts Consumer Protection Act as well. There have been at least 10 other bills introduced in the Massachusetts House and Senate that address various aspects of the foreclosure process, including legislation that would require foreclosure mediations and judicial review of foreclosures. The great danger may be for an overeager bank official who realizes that the bank’s paperwork suffers from the defects outlined in Ibanez. The temptation to back-date documents and to “fill in the blanks” may be too great for some to resist. Prosecutors and regulators will likely be looking for just such situations as they attempt to make cases. What the court in Ibanez really ruled is that the banks need to strictly comply with the laws already on the books in proceeding with foreclosures, and in light of the court’s candid opinion, and harsh concurrence by Justice Robert J. Cordy, banks would do well to ensure that they have their ducks in line. Banks would also be wise to educate their staff on Ibanez and how not to react to it. But when all is said and done, however, what Ibanez may ultimately have done is provided the impetus for legislators, regulators, and prosecutors to change the way foreclosures proceed in Massachusetts, and possibly all over the country, in creating new requirements for banks, and courts, far beyond those at play in Ibanez.